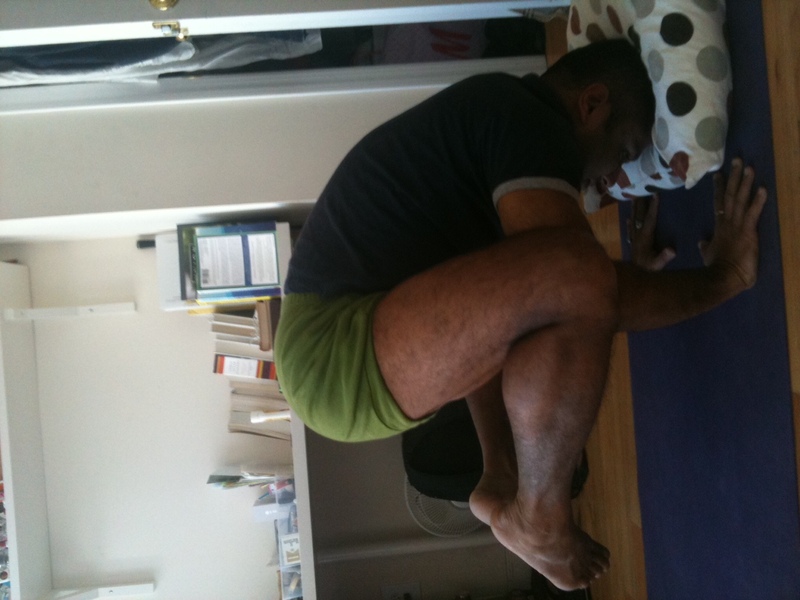 Today’s Yoga pose of the day is Kak Asana or also known as Crow Posture. Why? Because while doing practice in my apartment (yes weekly Yoga@Apt session), Kim suggested we try out Kak Asana (have tried it for a brief moment earlier but this was a serious attempt. And then while trying to get the pose and make sure i dont tumble over (the cushion helps to remove the fear of cracking your neck) Kim snapped a pic. After 3-4 attempts i was able to get both the feet off the ground and balance for a few seconds. Rest assured, this will get your triceps really working – they were feeling deliciously sore the whole day! 1. Squat on the toes with the knees held apart. 2. 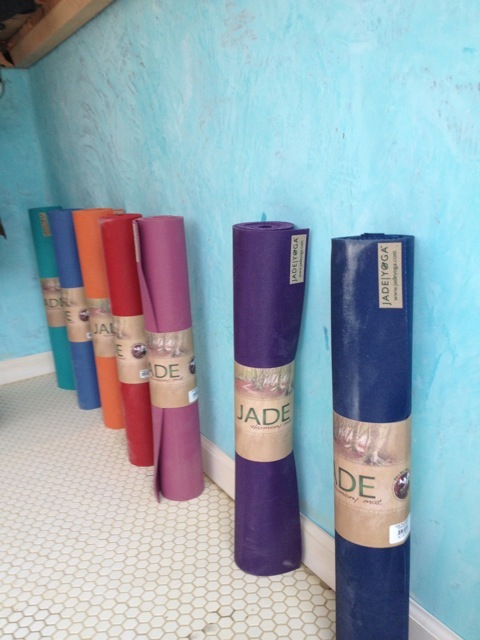 Place the palms on the floor between the knees, the fingers spread for optimum purchase. 3. Place the inner edges of the knees against the backs of the upper arms, lean forward until the feet lift off the floor and then you balance on the palms (easier said than done). The elbows are supposed to be slightly bent. 4. Now enjoy the pose – hold it for 10-20 seconds! Now the pose is also differently interpreted by BKS Iyengar who calls it Bak Asana (or the Crane pose) – the variation being that the elbows are not bent but kept straight. See the image below. 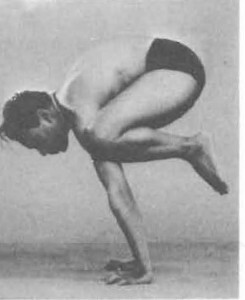 BKS Iyengars Version of the Crow Pose is actually Bak Asana or Crane Posture. And aptly titled, “how not to do Kak Asana’ – yours truly making an attempt! 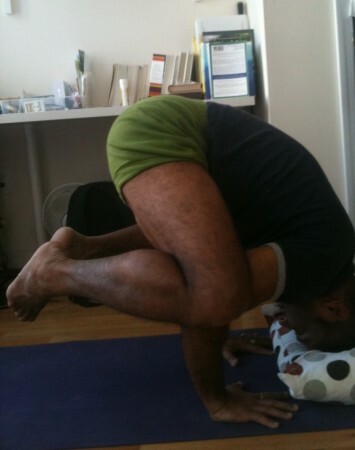 How not to do a Crow Pose! Knees are too low. The head is almost tumbling over!